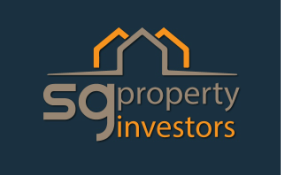 sgpropertyinvestors.com is your Essential Guide to Singapore Property Investing. This website is for people who wish to invest in property in Singapore. The website contains information, advice and property listings, mainly for foreign investors but also for the local investors. We provide investment services of new properties in prime and central districts in Singapore to local and foreign institutions and individuals. I would like to compliment Mr Charlie Lee on his dedication to his work. He is one of the best agents that I have come across over the years. Over the span of 3 months, he has continuously provided me with info on available properties, new launches and even sharing articles on latest news on the property market that I may have missed given my busy schedule. It is difficult to find a good agent who is willing to provide value added services nowadays. Given Charlie's dedication and professionalism, I will definitely keep him in mind for my future property transactions." Look no further if you intend to buy properties direct from the developers or from project sales. Our company has successfully marketed many sold projects, today we continue to be one of the market leaders in project sales appointed by many reputable developers to undertake their project marketing. 4. Making recommendation of the best possible solution to their property needs. We provide property investment services to both local and foreign institutions and individuals in prime and central districts 1, 2, 4, 9, 10, 11, 12, 14, 15 & 19 in Singapore. We have marketed numerous successfully sold projects. Our forte lies in project consultancy and marketing. With affiliation of Savills Residential Pte Ltd, we have successfully marketed over a hundreds of local and International projects (Private Apartment & Condominium) in the past years. Vision7 - 2000 new homes, leisure, retail space and state-of-the-art stadium for Arsenal Football Club.